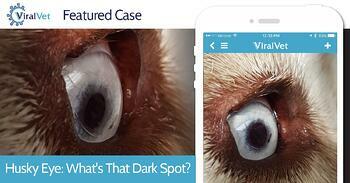 ViralVet Featured Case: Husky Eye, What's That Dark Spot? Seven year old Husky presented for dark spot on the eye. Any ideas of what the featured case is this week? 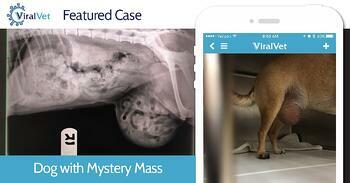 Thank you to ViralVet member Dr. CP for sharing this interesting case! What's the mystery mark? Visit ViralVet to see if you are correct! Chihuahua with Mystery Mass of 7 years duration. What's your diagnosis? Visit ViralVet to see if you are correct! We love Boer Goats at XPrep Learning Solutions! 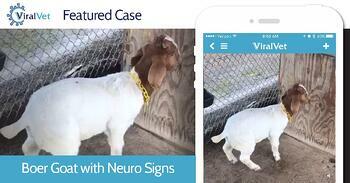 Thanks ViralVet member, Allison.VP, for sharing this case! Great Video and wonderful reminder of a common cause of neurologic symptoms seen in our caprine friends that can end well when treated appropriately! Speaking of Boer Goats, we have a Boerd Review special right now for VetPrep subscriptions. Visit ViralVet to find out! 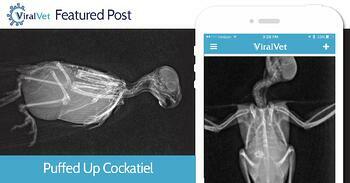 Thank you to ViralVet member TXexoticvet for challenging us with this interesting case! Think you know what caused this Cockatiel to puff up?